It’s not often that a new kite comes along that is at once familiar and at the same time new and exciting. That is just what has happened with the new quad kite developed by Cao Quan from Vietnam. 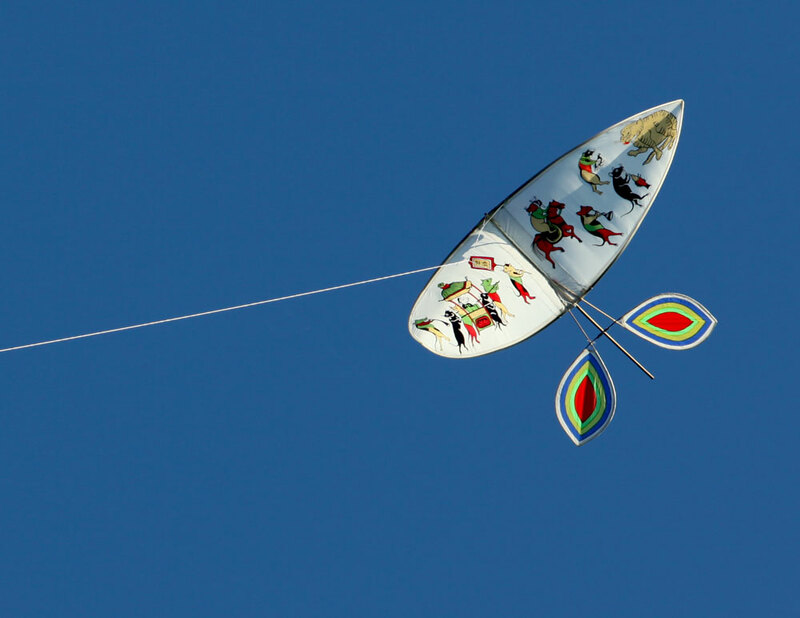 A seamless blend of modern and traditional kite making skills. Kites have been made in Vietnam for centuries. 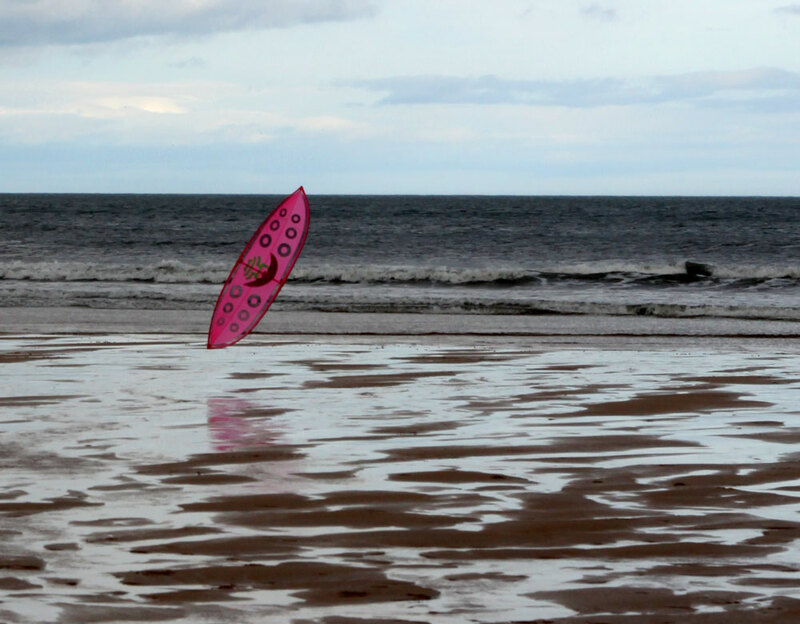 One popular form is the single line leaf style kite which is the base for the new quad kite. 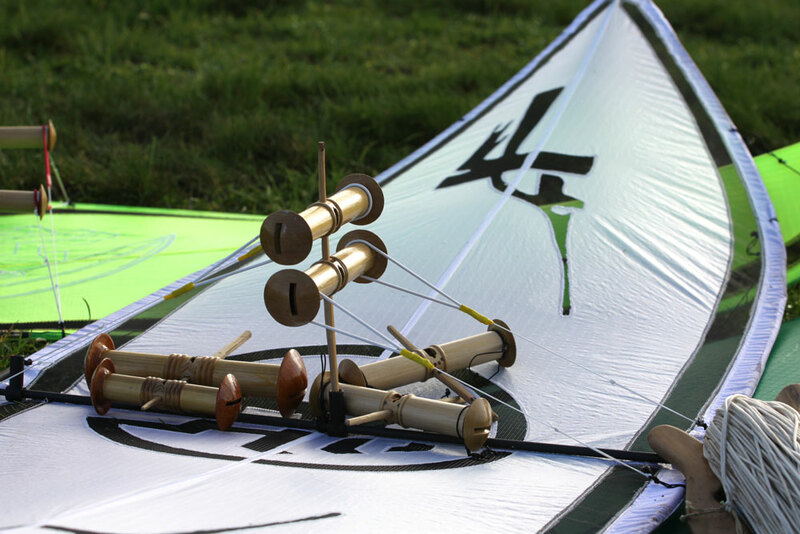 Instead of being made with traditional materials, the new Vietnamese flute kite is a full on modern sport kite using SkyShark spars and Icarex sail material but with one addition – the flute. Attached to the back of each kite are a pair of tuned flutes that sound when the kite is flown either towards the leading edge or reversed. We were first introduced to this kite way back at the Bedford International Kite Festival 2014 when we were lucky enough to be introduced to the designer. Although an experienced and knowledgeable kite flier, Cao Quan needed an experienced quad pilot to test out his new kite (especially with the very challenging wind conditions at the Bedford festival). The initial test fly was challenging but it was instantly clear that this kite was a winner. We wanted to know more, where could we get one? Well, after a long conversation with the designer a further meet up was agreed and a prototype secured. The kite came with a working bridle but being who we are it had to be improved! A lot of refining over a few months on the bridle, some experiments with spar stiffness and research into the perfect size handles and the end result is something special. So, why do we love this kite so much? When you first pick up the kite you feel comfortable. The same inputs that you would use for other four line kites give an instant response. Of course, being symmetrical means that this kite reverses as well as it flies forward, but it also side slides like a dream. Faster even than the forward flight, the side slide flight is quietly addictive and opens up a whole new style of flying, just pay attention to which way is up. Where this kite really comes into it’s own though is the 3D trick repertoire. Unlike other flat quad kites, the flute kite yo-yos like a dream. Single and even double rotations are easily achieved and it is a trick that never seems to grow old. Again, thanks to it’s symmetrical design the kite is just as keen to roll up towards the trailing edge as it is the leading edge and in any orientation. Fades with this kite are simple and once on it’s back the kite can still be flown around the window to a spot where a quick “pop” flicks the kite back into normal flight. Quick hands are able to enter the fade whilst the kite is rolled up. You know that sensation, the kite falls forward onto its face and no amount of tugging, flicking or twisting will get it relaunched. The long walk of shame is needed, up to the kite, turn it over and trudge all the way back again. Well, no more. With the kite face down a simple pull on one side will turn the kite 90 degrees, this is where that unique 3D shape comes into play. By pulling the back lines the kite slides on the floor towards you then effortlessly lifts into the air. We couldn’t believe how easy it was. The real party piece of this kite though is the sound. Attached to the back of the kite are two traditional bamboo flutes, each tuned to give a perfect sound, one is sounded when in forward flight, the other in reverse. The simple pleasure of flying up and down to get the flutes to play is a delight, learning how to play the flutes is something that will keep you flying for hours. So far most of our testing has been flying solo – rather self indulgent but very satisfying. We did have an opportunity to fly in team at the end of last year and the initial findings were promising. The usual team figures are there and a whole range of new ones we have yet to discover. It is going to be a whole lot of fun. The kites are in their final testing faze and should be ready for market at the beginning of the season. If you are interested in more information contact us here and we will see how we can help. In the meantime, here’s a short video from some of our test flights.